Lets get that cup back! It is time to stop asking why Casey and Rose are not there. The US team have arrived and over the next weekend the most exciting team contest in sport will take place. Europe, EUROPE, EUROPE, EUROPE, EUROPE, EUROPE ! ! COME ON YANKS BRING IT ON ! ! ! ! 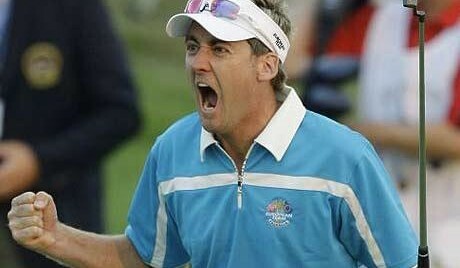 Click on the Poulter photo to view a video trailer. The boys have done well so far. Lets hope they can finish the job on Monday.